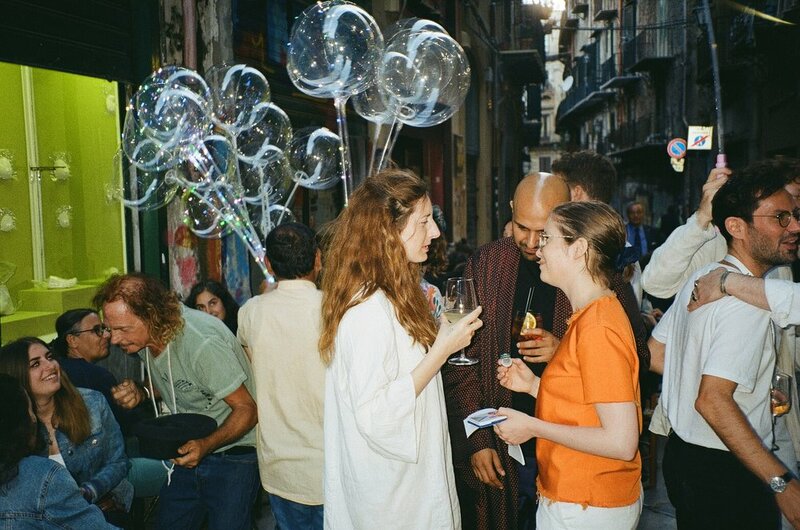 ‘Herm’, an installation in vitrines along via Alessandro Paternostro, opened alongside Manifesta 12. 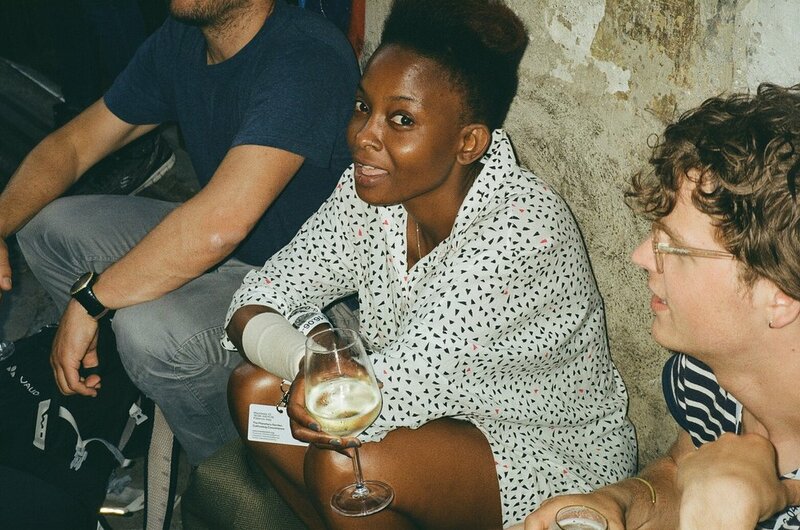 Clementine Keith-Roach traces the confluence between antiquities and relics, accurate casts and false impressions, highlighting how the body and heritage may equally be packaged, marketed and milked. 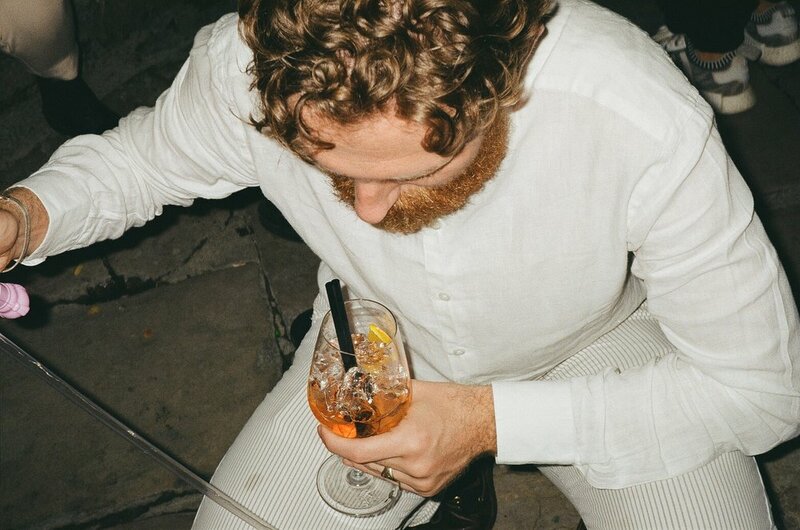 Floating in the shopfront of Edizioni Precarie is a delicate impression of a herm – a slip of a thing that overlooks the flow of residents and visitors, workers and drinkers. 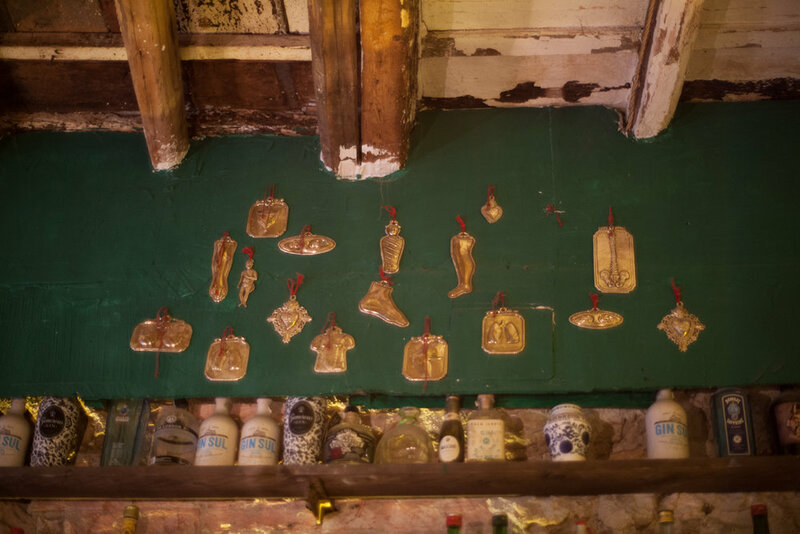 Across the street, a collection of body parts is lit up in windows belonging to the bar Botteghe Colletti. 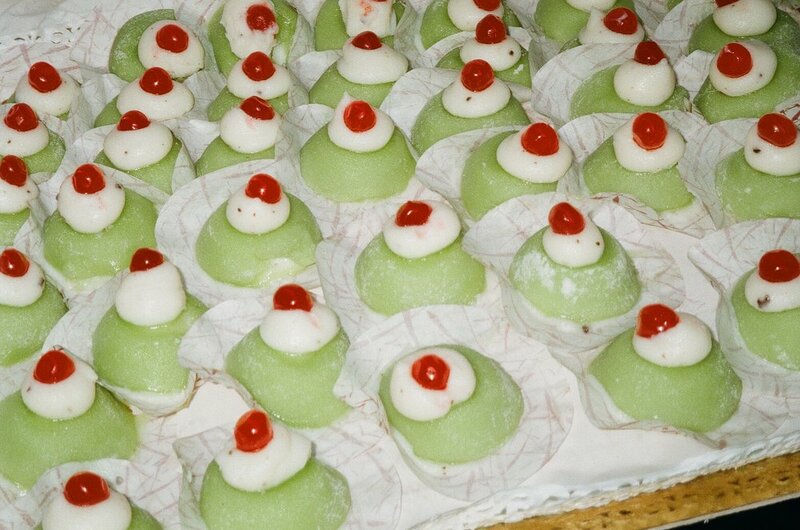 Items are vacuum-packed, like the ricotta salata on deli counters and market stalls – pre-empting their eventual journey out of Sicily in the circulation of consumables. 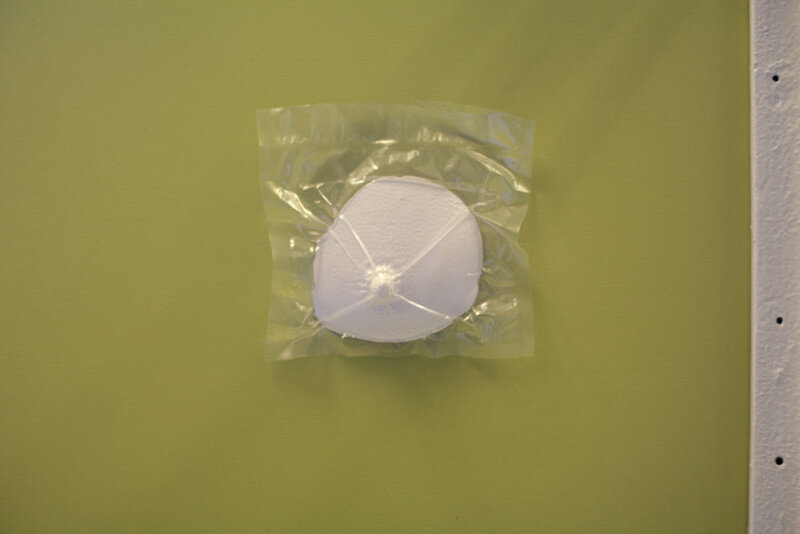 Suspended in a void of taut, transparent plastic packaging, the fragments shake off the dust of the reliquary and reveal the fetish of the hermetic seal. 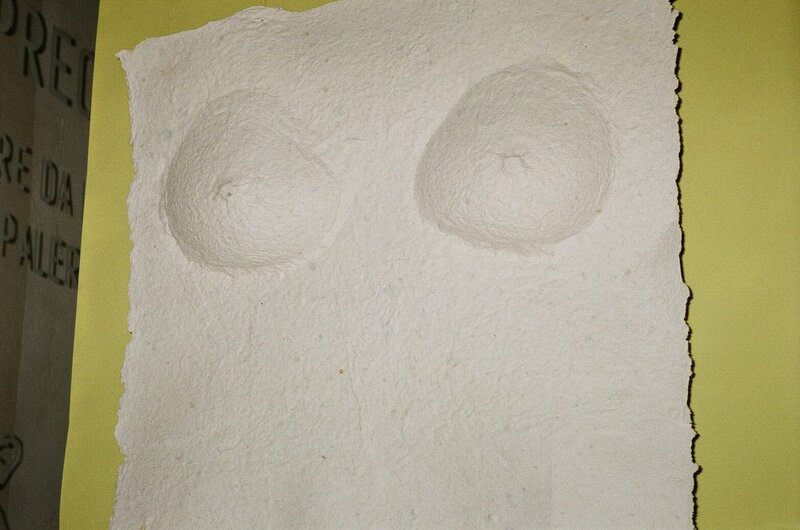 Plaster casts of breasts and other fragments of the artist’s body capture the real detail of human skin. 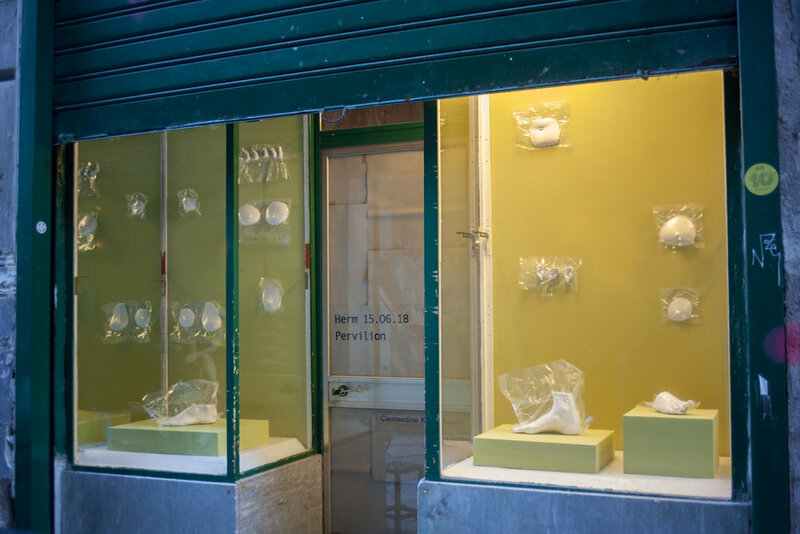 Their arrangement in greenish vitrines – the hue of ricotta whey – reaches out to the votive shrines and retail cabinets embedded in the city walls as much as to archaeological museum display. 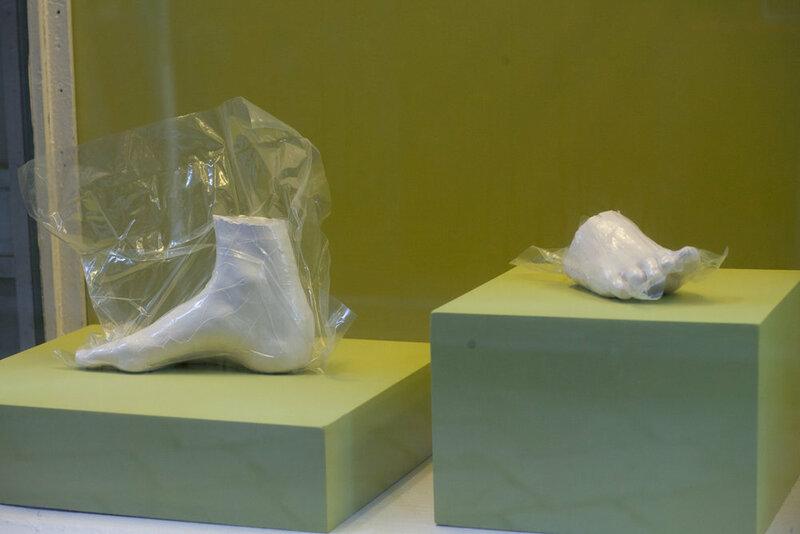 This fixation on traces of the body is also redolent of relics such as the ‘stone of Saint Agatha’ in Palermo, where the saint is supposed to have leaned to adjust her sandal, leaving the imprint of her foot. Keith-Roach has created a counterpart to the abstracted fragments in collaboration with Edizione Precarie, a women's collective working with paper from Palermo’s markets. Using pulp made from offcuts of food wrappings, they have pressed a relief of a life-size figure – a herm. This ancient minimal form is usually a stone pillar topped by a bearded head, with male genitalia protruding at the front. It mainly represents Hermes (its namesake), messenger of the gods and god of merchants, and was venerated as a boundary marker, to ward off the evil eye. 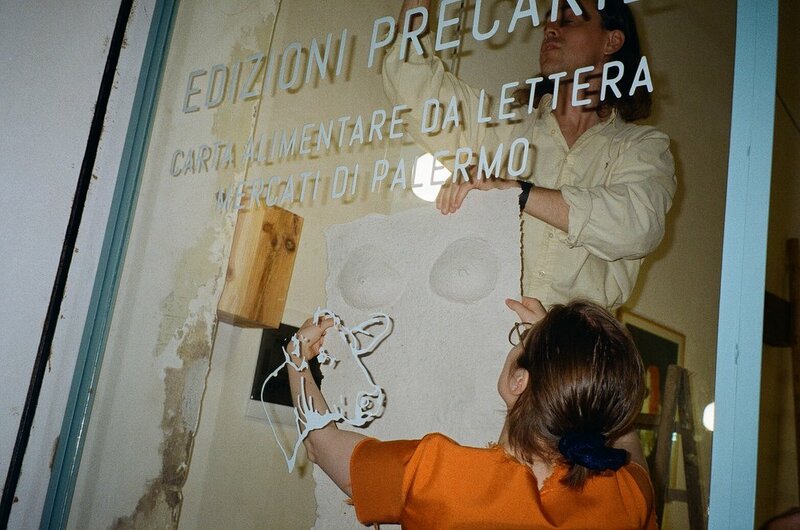 Here, Keith-Roach inverts the traditional gender of the herm using a pair of the plaster cast breasts to create a relief. They strip the herm of its volume, and by compressing paper remnants, replace stone with a sediment of the city. Surface becomes substance, and the ancient form an interface with daily life. 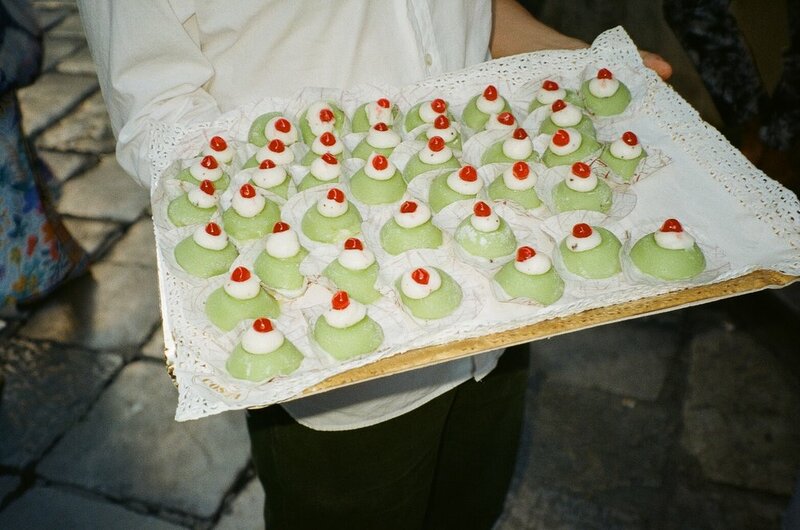 As dusk falls, the vitrines light up and an offering of bite-size cassatine is shared with the audience in exchange for a stamp on the hand.